I've noticed in almost every photo of Eagles, the right front edge of the hood is not in aligned properly. It's too high by anywhere from 1/4 to 3/8" I've adjusted the bumper on that corner, but after decades of "set" how do I get the hood to settle down? Is it a matter of actually twisting the hood? or is it actually the moulding that needs tweaking? There are rubber bumpers that can be adjusted for minor corrections. Your hood is supposed to click shut tight against the bumpers. The front metal can be adjusted slightly, but you want to avoid doing that. The weak pot metal fake screws usually break instead of loosening. You will have a worse problem once a few of them have broken. It is also common for the hinge to bind up. Its easy to bend your hood before you realize that its bound. The outside of the hood is usually fine even after its damaged. Its the inside layer of metal that creases. Once it is creased you need a few washers or a plate to put the hinge back into the same orientation. The hinge can bound easier once its creased because the hinge tilts up in relation to the hood. Its an escalating problem once it starts. Here is a picture of my new Kammback. It shows the most extreme hinge bound hood damage. That is the reason the inner right side sticks up so much. The outside isn't bent yet and this hood could still be repaired, but I'll be replacing it when I paint the car soon. Lube your hinges at least once a year too! eagle wagon roll pan rear bumper? Eagle Nest bushings out of stock.. Where can I get them????? 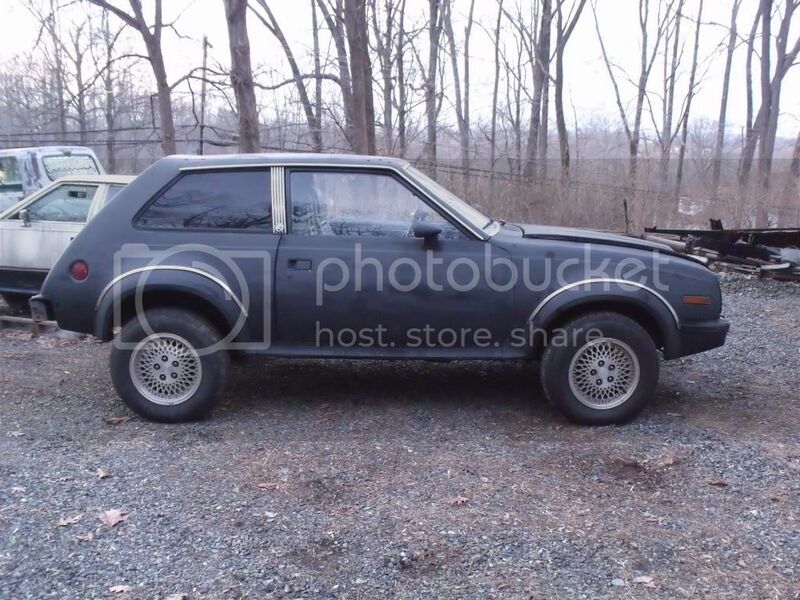 Where can I find Hatch Weatherstripping for my 87 Eagle?